February 9, 2016 April 19, 2019 - The 'Noms. We love meals that will warm us up in chilly weather, and this slow cooker pho definitely fits the bill! With spicy and sweet flavors, this is great to warm up with and is super easy to make! During the chilly winter months there is nothing quite as nice as coming home to a hot meal, and it is even better when the meal is super easy to make in the slow cooker! 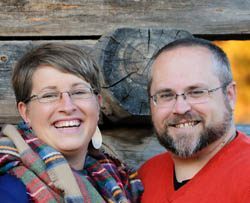 We are big fans of crock pot meals as we can get a great meal even on days where we are super busy. For this meal, we wanted to depart from some of our usual meals and branch out into some Asian flavors that we love, but don’t make much of at home. After a bit of research, we decided that pho would be a good candidate for a crock pot, as the flavors take awhile to build, and a slow cooker pho meal that takes 8-10 hours to finish up is a great opportunity to build some flavors. 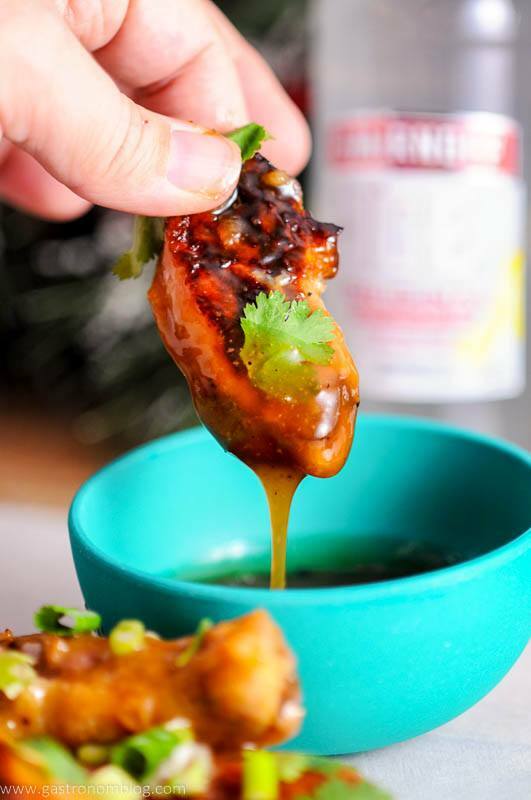 After an adventure to our local Asian Food Mart, we were ready to tackle this recipe! Pho is a popular Vietnamese street dish that essentially is a brothy noodle soup that has gained quite the following the last few years, with lots of restaurants that specialize in pho popping up all over the place. Filled with lots of rice noodles, herbs and typically beef or chicken plus a rich spiced broth, pho is a perfect meal for chasing away the chill of winter! Interested in more Slow Cooker Meals? Check out our Shredded Chicken Tacos that we make using our crockpot! 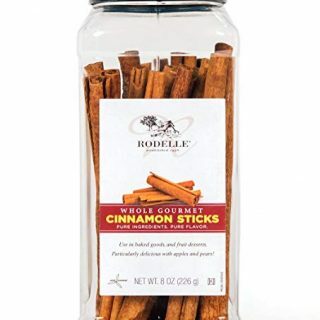 These are a big family favorite! 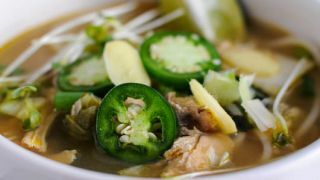 What Ingredients are Needed for the Crockpot Chicken Pho? With every place having its own version of pho, every recipe can be different so feel free to tweak the recipe as you see fit! For this recipe we chose to go with chicken, as we have had lots of success making chicken crock pot meals in the past. How to Make Homemade Pho? One of the best things about making your own pho is the great aroma that all the spices and herbs used to layer flavor into the broth. 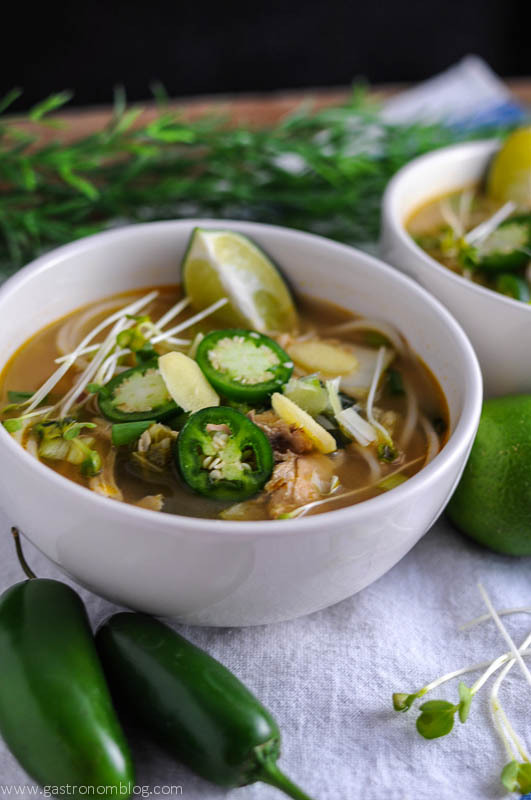 Lots of aromatics like cinnamon, cloves and star anise add a warm spice to the broth, while fresh ginger and jalapenos add a spicy bite. A splash of fish sauce adds that Asian flavor and gives the broth a real deep savory character. Crisp chopped bok choy and bean sprouts add a bit of green freshness and a pleasant bitterness that balances out the salty broth. 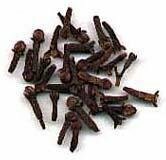 A garnish of fresh lime brings just the right amount of acid to make the spices pop. 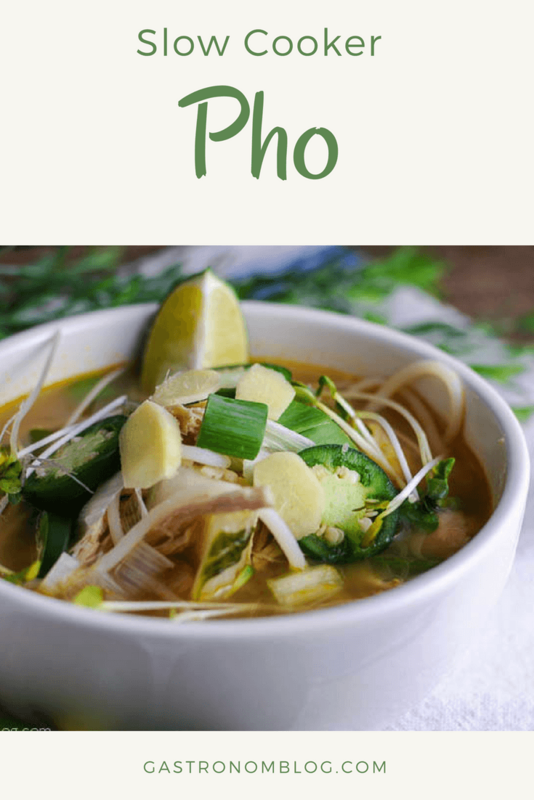 Combine all these flavors and this pho will be sure to be a popular meal the next time you make a slow cooker pho dinner! 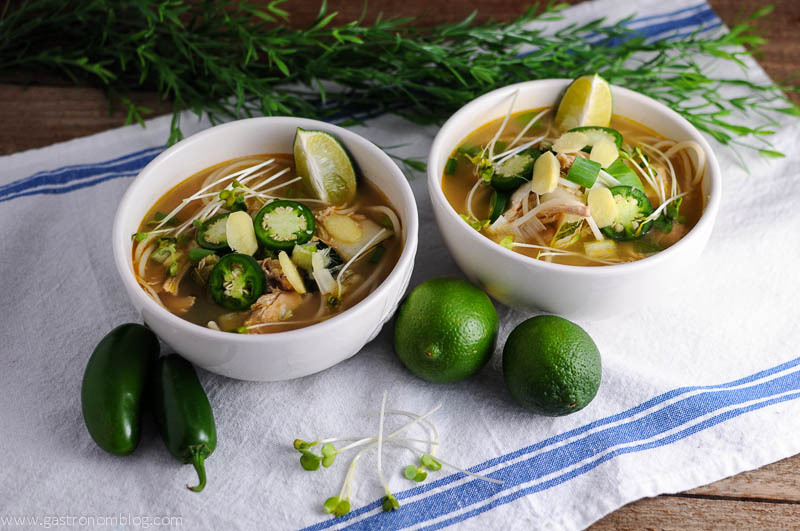 A very easy dinner in the crockpot, this Thai favorite, Chicken Pho. Add brown sugar, fish sauce, cinnamon, star anise, cloves and ginger to chicken stock in a medium bowl. Place chicken breasts in crockpot, then pour stock over. Cook in crockpot for 8-10 hours on low, or 5-6 hours on high. Remove chicken breasts and set aside. Remove spices from broth and throw away. Add bok choy and rice noodles to broth, turn crockpot to high and cook for another 30-40 minutes. While noodles and bok choy cooks, shred chicken and slice jalapenos. Just before noodles and bok choy are done, add shredded chicken back in. Ladle into large bowls, add sprouts, jalapenos and lime juice. 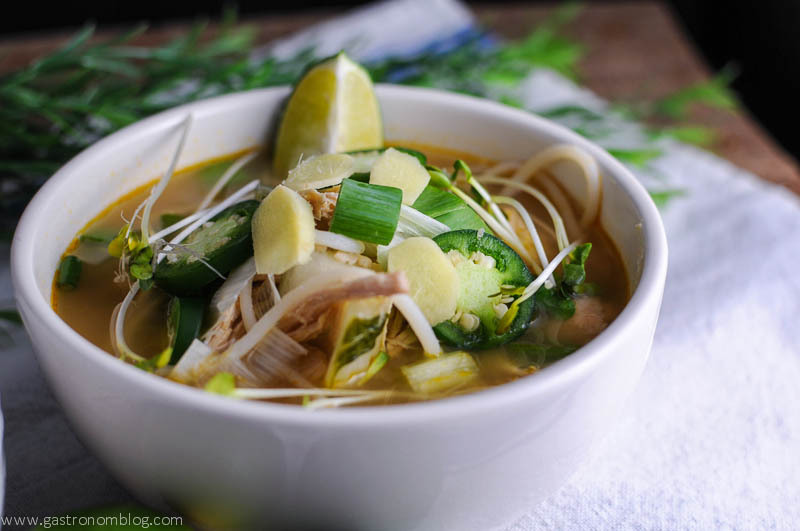 PIN THIS CROCKPOT PHO RECIPE FOR LATER! Recipe adapted from Served from Scratch. Ooo this looks excellent. What a great idea, using the crockpot! It makes it so easy! And makes the house smell amazing all day! Thanks! Give it a try, but yes, having it made for you is fantastic as well! I looove pho and this looks absolutely amazing! Stunning photos as well. Aw, thanks so much! Thanks for stopping by! That looks so yummy. I love Asian food! At the moment I am really hungry!!!! Thank you! I love it too! Thanks for stopping by! Thanks so much, we love it, too! Thanks for stopping by! This looks so delicious! I have always wanted to make Pho at home. Thanks for the recipe. Thank you! Please try it out, it’s so easy! This is great! One of my favorite foods is Pho! I can’t wait to make this! I think I will try a vegetarian version because tofu pho is my all time favorites!! Thank you I will try this soon! It’s so good! If you do the tofu let us know how it is! Enjoy! This looks amazing! 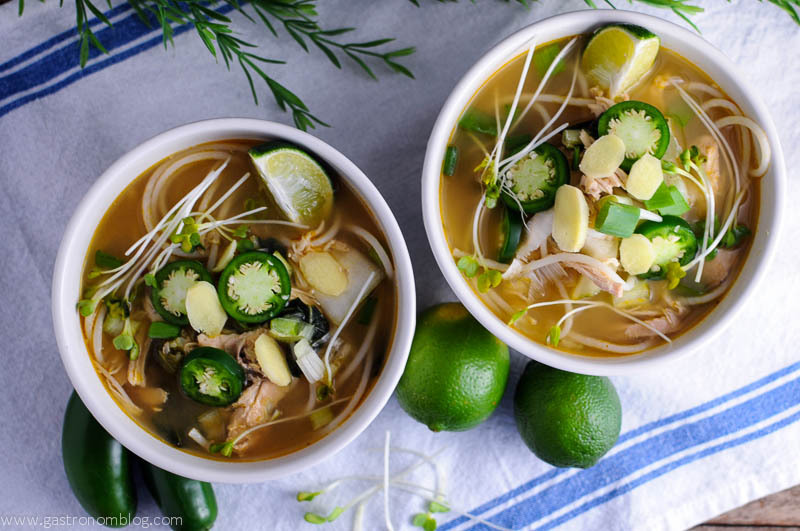 I never even though of using the crock pot to make pho, I’m definitely going to try it out! It makes it so easy! I loved how simple it was! We’ve got some great Pho places here in Utah. But I’ve always wanted to make the dish at home. This looks so good. I hope you try it out and make it your own, as well! Enjoy! Just in time! 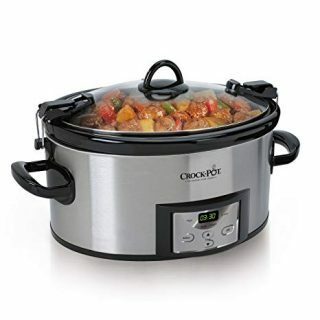 I just got a crockpot recently and been saving a bunch of recipes to try with it. I am definitly pinning for later! thanks for sharing. Then you should make this ASAP! Enjoy! Wow this is beautiful! My husband LOVES Pho! Love that this is a crockpot recipe. Thanks! I know, I loved that it was in the crockpot too! Made it so easy! I can almost smell it already. 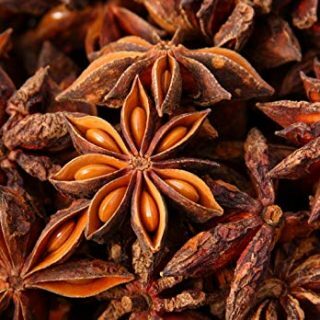 Such great aromatics! It is! Our house smelled fab for 2 days! Oh my word! This looks like such a fun thing to make! I’m totally going to make it soon. Thanks! I hope you do, it’s so good! Wow that looks amazing and so inviting. Plus it was done in the crockpot – love! Thanks! Yes, it’s totally great that it’s a crockpot meal! This looks delish and satisfying. I love crock pot meals but its hard to find variety sometimes, this is perfect! Thanks! It is totally something new, and I use my crockpot all the time! I hope you do! It’s so easy this way! I love pho and have never thought to make it myself! Looks so good! It’s so good, and this way you can make it your own! We love pho! We usually have our date night down the street and get a bowl of pho, but I’d love to try to make it at home in our slow cooker! Thanks for the idea! 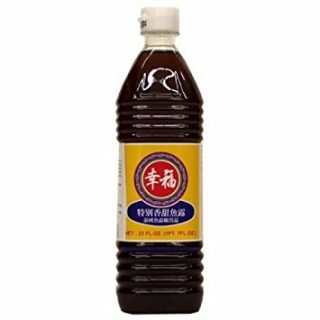 Try it out, it’s so yummy and you can add all your favorite ingredients! Thanks! I hope you do, it’s so yummy! I love using my crock pot, especially on busy days with kids’ sports in the evening. Looks like a great recipe. I know, it makes life so much easier! This is such an easy recipe and so tasty! This looks delicious!!! Can’t wait to try!!! Thanks, hope you do! Enjoy! Going to try this tonight! How many people does this recipe serve? Cheers! It’s so good! We got 8 bowls out of it, but it could stretch to 10 if need be! I never thought about making pho in a crockpot! This looks fantastic! I am definitely going to have to try this soon! I can’t wait to try this. I love soups and this one looks incredible. Time for a grocery run! Aw, thanks! Hope you try it out! Have never made pho in a slow cooker. Great idea! Love your pictures. Thanks so much for stopping by! Enjoy! I️ made this and the rice noodles took over and absorbed all the broth. Tasted amazing but any other suggestions? Hmm, I am not sure what to tell you, Misty. We had pretty thick rice noodles that seemed to stand up to the broth. 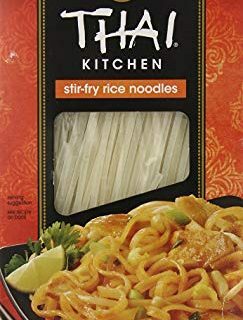 Maybe try a different brand, or more noodles? Wish I had an answer for you!